Adobe released Lightroom 5.4 and Camera Raw 8.4 for Photoshop and a new offering, Lightroom Mobile, today. 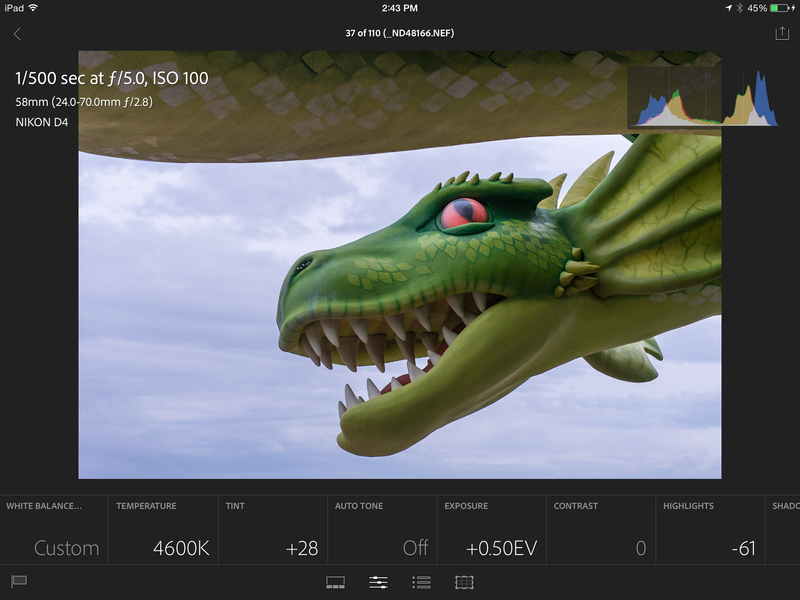 Lightroom Mobile is completely new application and, based on first impressions, appears to largely satisfy a need expressed by many Lightroom users: How to show and edit images on the iPad. 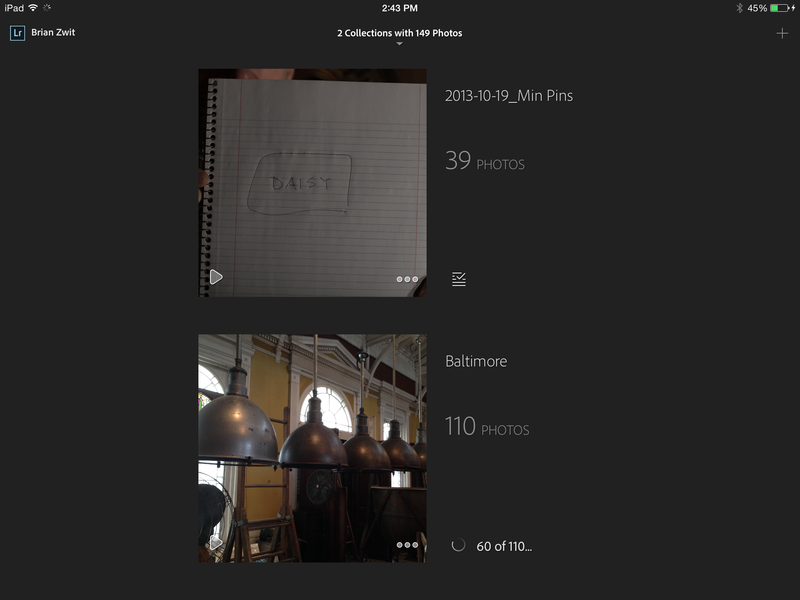 (Several images of the Lightroom Mobile interface are included here. You can click on the image to see a larger version.) In addition to being able to show and edit images on your iPad, any modification made to an image on the iPad, including metadata, will be reflected in your Lightroom catalog. Home screen showing the catalogs that have been synchronized with Lightroom Mobile. The Edit window in Lightroom Mobile. Only subscribers to the Creative Cloud or the Photoshop Photography Program can use Lightroom Mobile. You can only sync collections. This means that, if you want to take a folder of images with you for editing on your next cross-country flight, you must create a collection with all the images in that folder and synchronize that collection with Lightroom Mobile. 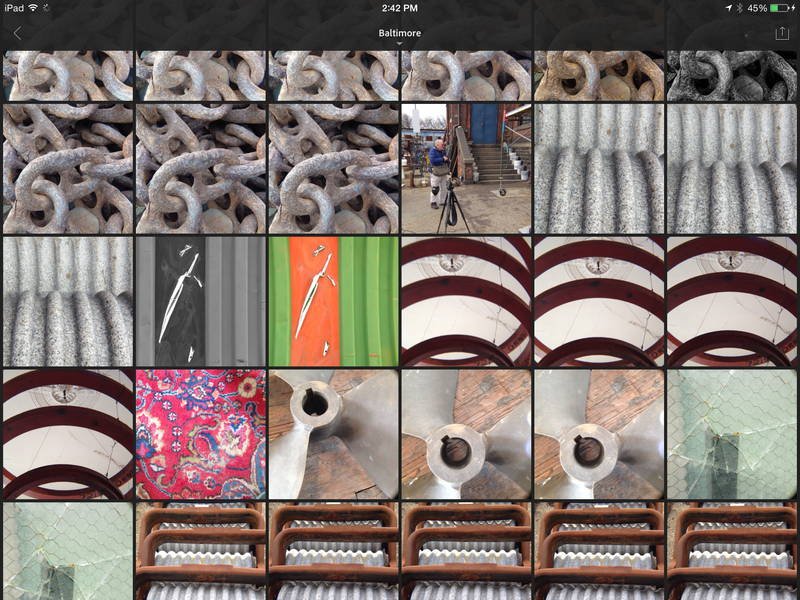 Lightroom Mobile uses smart previews, which are much larger than regular previews, to enable editing. The more smart previews you carry, the more space the images will take up on your iPad. (This could be a good thing because now you can justify a 128 gig iPad 4 to your significant other!) You can carry some images as regular previews and some as smart previews; you just won’t be able to edit any images with regular previews. Both your iPad and computer must have access to the Internet to sync your changes. You iPad must upload the changes to the Creative Cloud and then your computer must download the changes to Lightroom. So, at a minimum, there will be some delay between working on an image on the iPad and the changes appearing in Lightroom. Lightroom Mobile is available only for the iPad. Adobe is working on Android and iPhone versions but hasn’t committed to a release date for either version. As always, you should update to the latest version of Lightroom and Camera Raw even if you don’t plan to use Lightroom Mobile or have a new camera. Both contain bug fixes. Caveat to Above: As noted above, Lightroom Mobile was just released today. As I use the app, I will likely find aspects of the app to like and aspects to hate. In a couple of weeks, I will post some further thoughts on Lightroom Mobile. 08 Apr	This entry was written by School of Creative Photography and published on April 8, 2014 at 3:53 pm. It’s filed under Annoucement and tagged editing, iPad, lightroom, Lightroom Mobile. Bookmark the permalink. Follow any comments here with the RSS feed for this post.